Now. A small thing we need to address. The eagle eyed amongst you may notice that this is now the penultimate week of our little New Year happiness initiative, #ProjectHappyJanuary. And that last week, by and large, should have been week 3. But, for several reasons, week 3 went otherwise awol, which I shall explain forthwith. Reason 1: I had a stinking cold/virus/flu all of last week and was not very well, hence I was lacking in energy to write any new blogs. Reason 2: By the time I had the energy to write Week 3’s blog, it was very much the end of Week 3, and thus a pointless exercise. Reason 3: When I looked back at my themes I had mapped out for the blogs each week, I realised that two of them shared a similar theme, and as such I have decided to merge them into one supergroup for next week’s fifth blog (and indeed the last in the series). So, with all this in mind, consider this as the week 3 blog in spirit, but very really the week 4 blog. Explanations over, this week our focus is mood boards. A frequent tool at the disposal of creative types – fashion designers, architects, new tech start-ups – the mood board does what it says on the tin, or rather board. 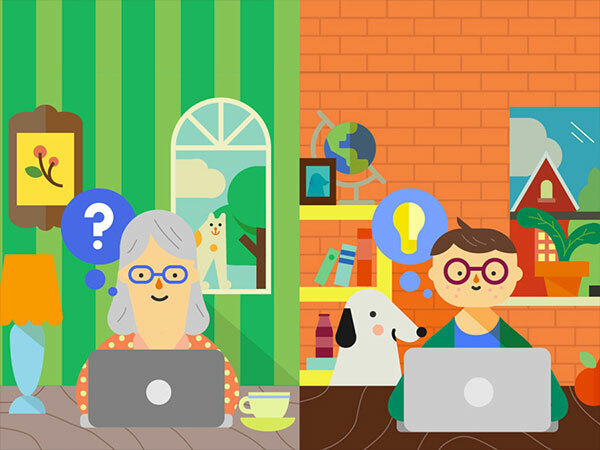 For boosting morale and wellbeing, it’s a place on which to project ideas, inspiration, and bring all round good positivity into your everyday life. Cut up the coloured card into squares about the size of Post-it notes – aim for about 8 x 6 cm. On the cards, write up little quotes in felt tip pen, or inspiring pieces of text, or little poems or song lyrics that mean something to you. Really this is for you to be absolutely creative and just go with whatever you want. Once you’re done writing up, it’s time to start pinning them to the board. Again, whatever way you feel is key here – the picture above will give you an idea of what you’re aiming for. 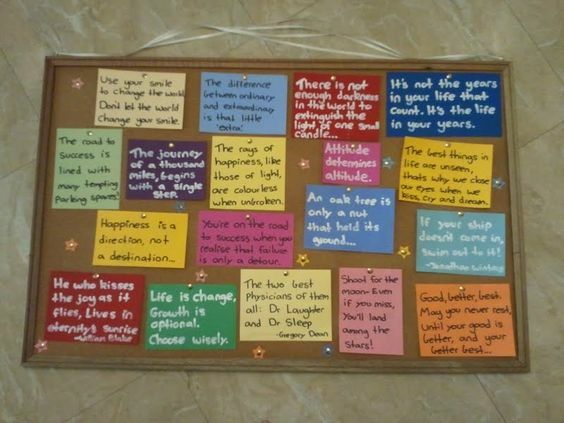 Place the pin board in a central position that will be immediately noticeable – so maybe by your bed, or in the kitchen. The idea is it should be in a noticeable place so it’s the first thing you see – i.e. when you get up in the morning. You don’t need to necessarily fill it up with stuff there and then. You can add to it as you go along. You can put on photos, or printouts or even cuttings from newspapers and magazines. As I said, this is a really good one to do even when January is over, so is a nice little New Year’s resolution into the bargain too. 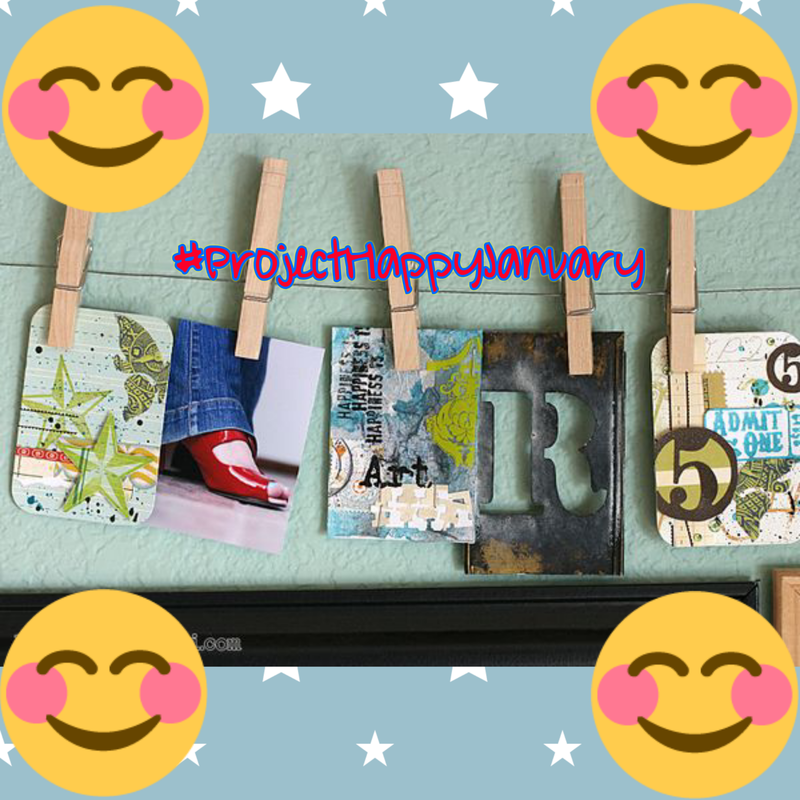 Do let me know if you take up the mood board challenge and Tweet me your efforts using the hashtag #ProjectHappyJanuary! The last #ProjectHappyJanuary will be up next Monday – hope to see you then.